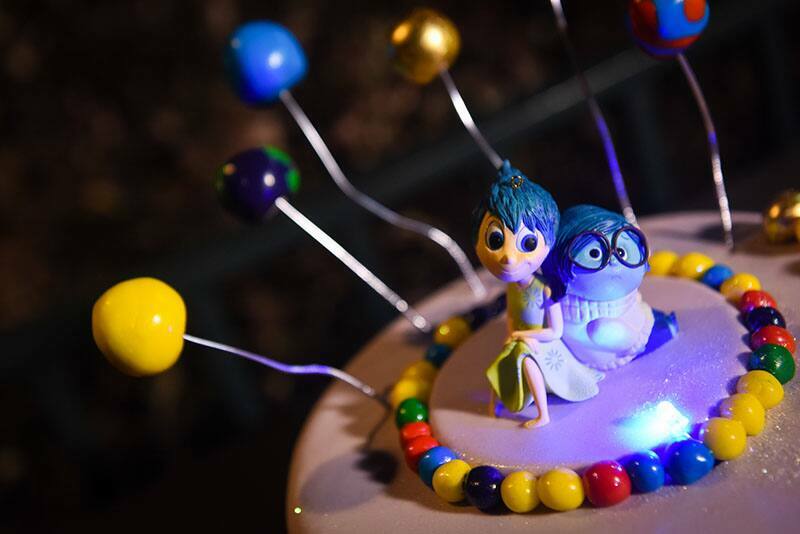 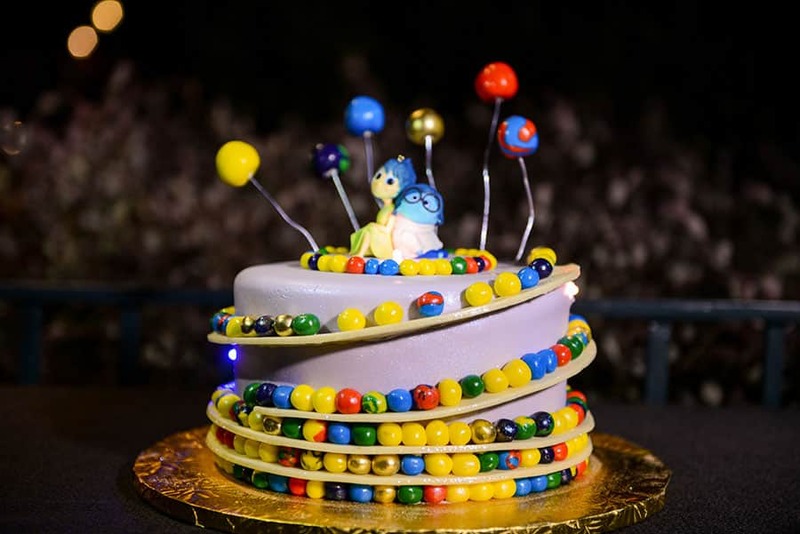 This adorable wedding cake inspired by Disney Pixar's Inside Out is surrounded by detailed "memory orbs." 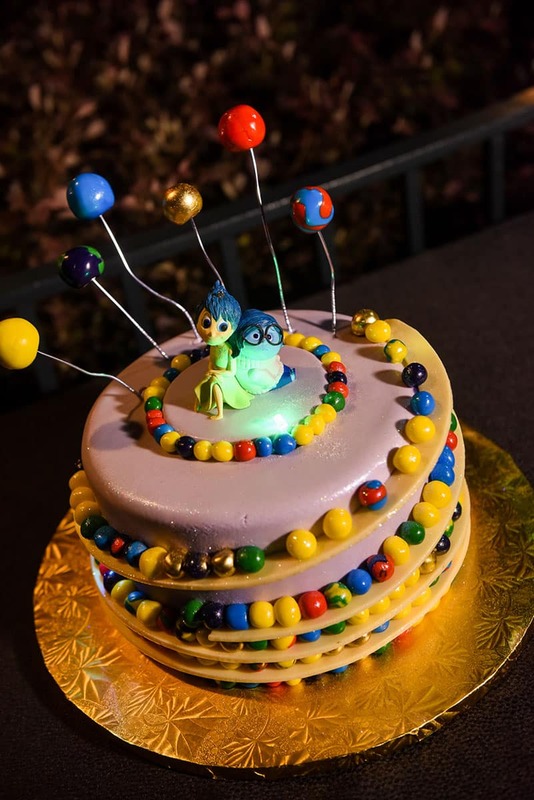 In the film, each of these orbs represent a specific memory and each color stands for a different emotion, such as anger. 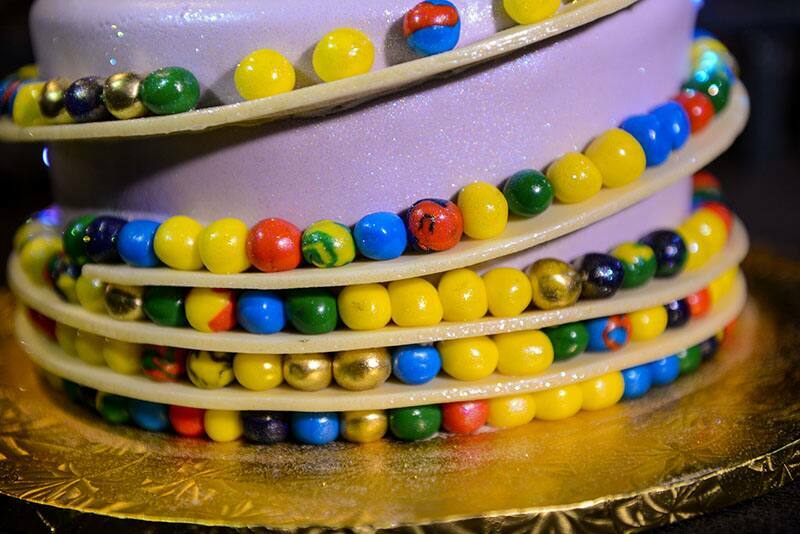 Two of the main emotions, Joy and Sadness, sit atop the dessert, balancing each other perfectly!